Playoffs can be one of the most exciting days on the schedule for professional sports teams and especially for sports fans. So when the National Hockey League’s Stanley Cup playoffs were about to begin, the league was looking for a way to increase viewership as well as boost the NHL brand. They wanted to create an experience that die-hard fans can enjoy while also creating a new fan base. Having worked with Americhip on previous campaigns, the NHL team collaborated with Americhip again to design and produce a 2016 NHL Playoffs interactive promo kit. The goal of the promo kit was to bring the game of hockey into the homes of NHL fans while they watched the playoffs. Each kit included limited edition promotional pieces with NHL branding which included a wooden mini hockey board, mini plastic hockey sticks and wooden pucks. NHL fans were encouraged play the promo game at home or at work. 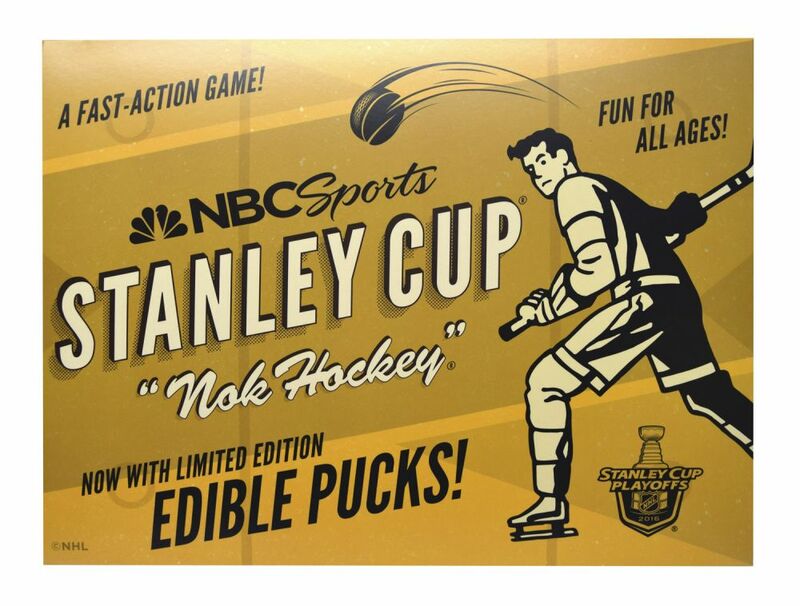 Each kit also contained limited edition “edible” hockey pucks for the lucky winners of this fun mini game. The promo items were all housed in specialty packaging designed with custom wells for perfect item placement. 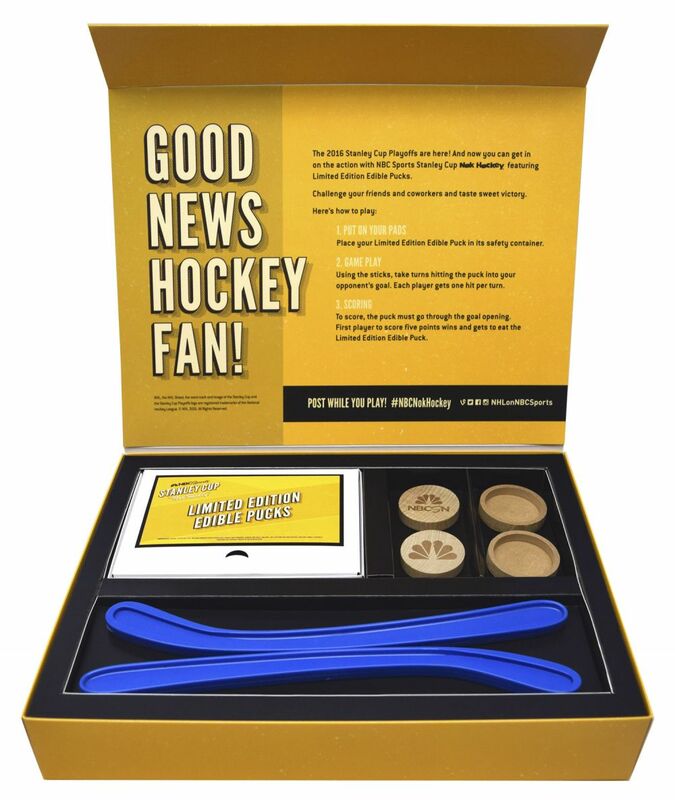 The NHL was sure to impress and engage its fans with this promotional kit which helped to generate more brand awareness and more fans for years to come. Boost your brand and take advantage of Americhip’s promotional sourcing and specialty packaging expertise. From standard promotional items to custom one-of-a-kind pieces, Americhip has got you covered for your next promotional campaign.